“As far as Tamil Nadu is concerned the Hindus are united. If the Hindus are not united, there is an inherent danger that whole of India will get defeated. When we discuss this in detail, we are dubbed communal. In the pre independence era, lack of Hindu unity led to loot of our country by Christians and Muslims. The Hindu consolidation work is sought to be undermined by violence, Maoism, Capitalism and Dravidian ideologies. There are thus many threats to India today. 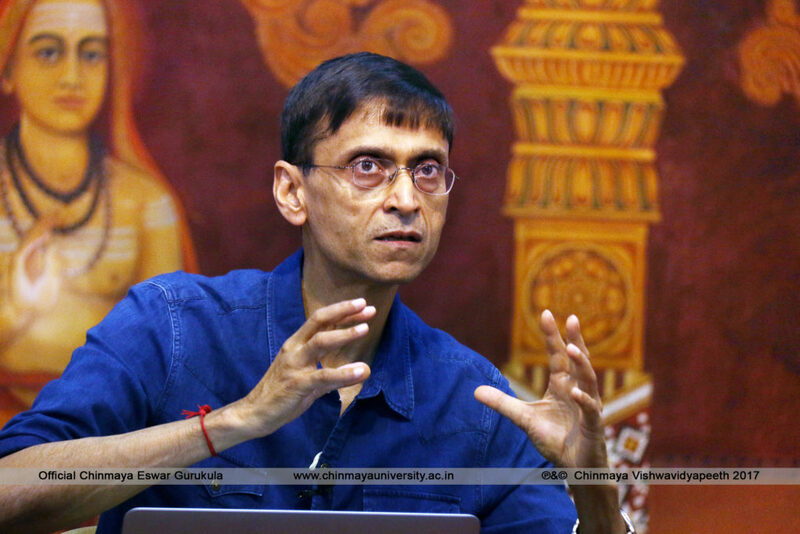 Prime Minister Narendra Modi has been working towards uprooting disruptive elements threatening national integration”, said Prof. Makarand Paranjape, poet and JNU faculty, while delivering P.A. Ramakrishnan memorial lecture in Chennai on December 2. Chennai elite come by such arousing talks once in a blue moon. 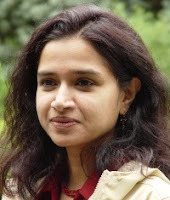 Some time back, a certain Pallabi Chakravorty, dancer, anthropologist and faculty at Swarthmore College, USA descended on Chennai and in a lecture (part of TS Parthsarathy Memorial Lecture) she lamented over ‘Hinduisation’ of dance. She found fault with Kathak’s history having almost completely negated and ignored the contributions of the tawaifs, etc. She warned that Hindutva narrative is being pushed, betraying which way she leans. The point is, nationalism in India is being targeted by minds serving US academics, shall we say, symbolised by Pallabi. The urban naxal stream seems to be secretive and presents itself in many guises. 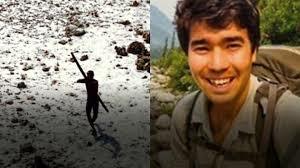 John Allen Chau, an American missionary, sneaked onto North Sentinel Island (part of the Union Territory of Andaman & Nickobar Islands) where the Sentinelese live and was shot by arrows before his body was reportedly buried. To preserve their way of life, the tribe is protected by law under the Indian government. Indian ships monitor the waters around the island to stop outsiders from approaching the Sentinelese. Christians world over are facing scrutiny for evangelizing in remote parts of the world after the death of the U.S. missionary. The death of Chau raises questions about the ethics of missionary work and whether he acted appropriately by contacting the Sentinelese, an aloof Indian tribe that has resisted outside contact for thousands of years, a section of US media reported. Not only the death. Some sections of the Church sought to make a martyr out of Chau. The US Administration, that frequently assumes a moral high ground as regards the treatment of “minoritites” in India, must ponder the question, “Is not conversion violence?” (Posed by late Swami Dayananda Saraswati of Arsha Vidya Gurukulam). It may be pointed out here that Justce P.Venugopal Commission (instituted by MGR government) that probed the Mandaikadu clashes of the 80’s concluded that conversion was the cause of violence. The Commission report recommended enactment of laws to ban conversion. 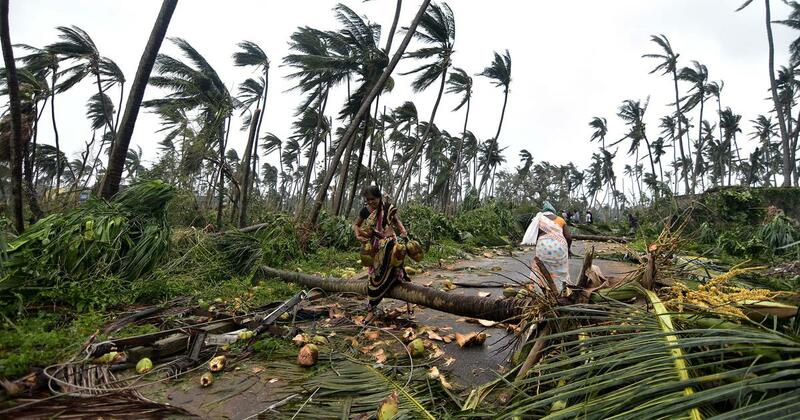 Last month’s cyclone Gaja left in its trail lakhs of uprooted coconut trees in several districts of Tamilnadu. The sensible forecast by a village school teacher and the risk-taking courage of a farmer of the same village who adhered to it, could save hundreds of coconut trees. Selva Kumar is the teacher and Seenu is the farmer. The village: Idumpavanam in Thiruvarur district. Seenu could save over 200 trees in his coconut grove of 250 trees. On the advice of Selva Kumar, Seenu removed most of the olas (leaves) as well as the nuts, thus drastically reducing the weight atop each tree a couple of days prior to the onset of the cyclone. Even a wind speed of 100 kms/hr could not fell those trees. Seenu lost more than one lakh rupees worth of coconuts but his trees could survive Gaja. The highlight is that Seenu says his happiness faded away in the face of others in the village hit hardest by Gaja.